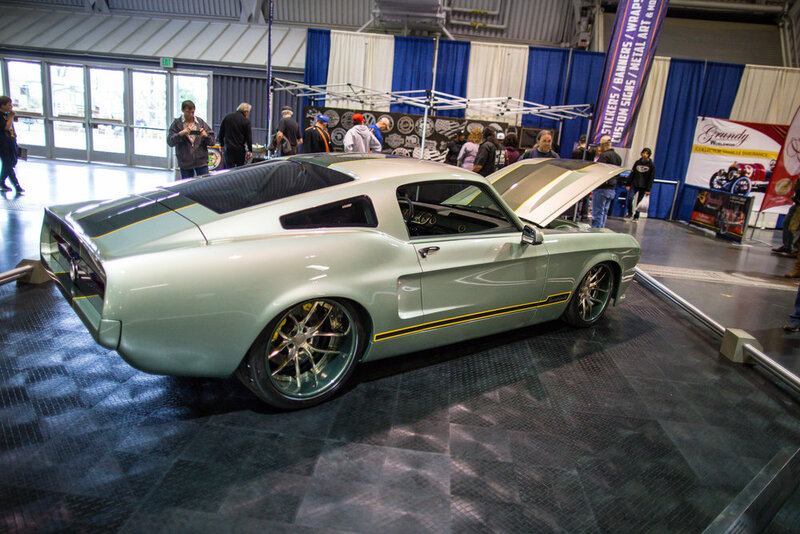 This past weekend we made our annual pilgrimage to the 67th Annual O'Reilly Auto Parts Sacramento Autorama. After all the rain and crappy weather, and threat of flooding here in lovely northern California, we were in dire need of something to help us forget our nagging desire to build a raft out of the junk we've collected in our garages. Luckily for us, hot and cold running customs and hot rods fit that bill perfectly. Judging by the crowds, both Saturday and Sunday, we weren't the only ones in need of a fix. We were just two among thousands of men women and children in attendance. 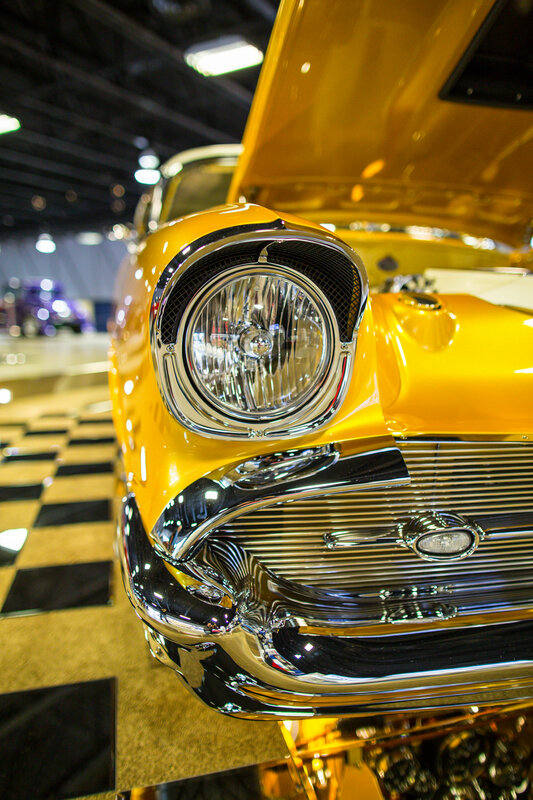 The Autorama isn't necessarily a car show, as a car show in the traditional sense is a little too humdrum and plain of a description. 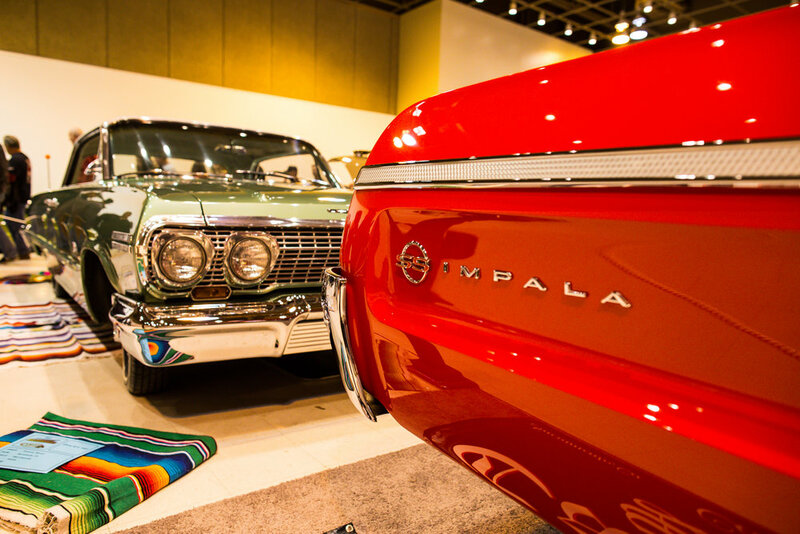 Nope, Autorama is a culmination of dreams, sweat, blood, tears and probably a sailor's vocabulary of curse words. 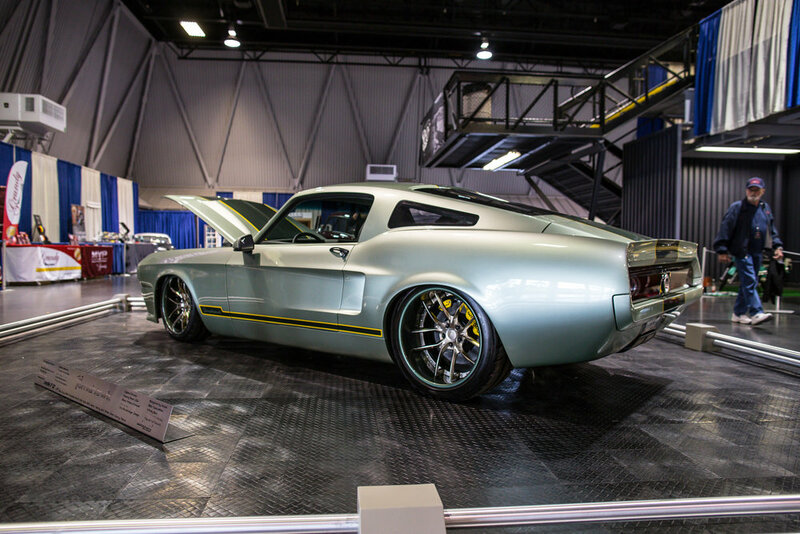 It is those things that contribute to the creation of some of the most gorgeous exhibits of automotive art on display anywhere. These concoctions of chrome and metal are not the products of someone flipping through a catalog to pick from a list of options, but rather they are products of dreams where every rivet, weld, spray, hammer blow and polish was done with purpose. Our modern sense of car design isn't boring by any means as many of the world's automakers create stunning and modern road going specimines. 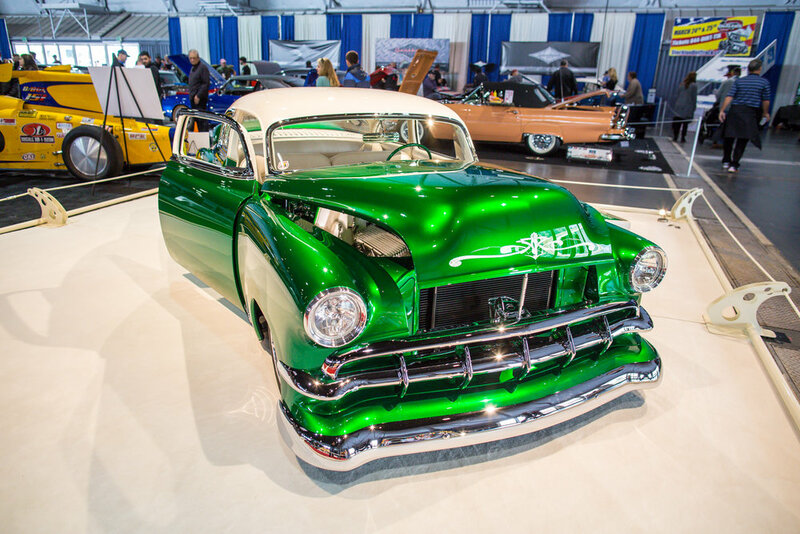 However, the custom tuning and hot rod scene adds lots more creativity and rarity, as the stunner you find on the display floor is the only one of that configuration, and in some cases the only one of its kind in existence. It's an event that continues to be a living testament to the creativity of man and the automobile. The additional "wow" factor, separate from the machines themselves is that the majority of entries are local, many were created at locations no more than hour drive away from Sacramento. The local talent is revealed, as you realize that truly amazing things are happening in the neighbor's garage. Yes, many of the participants own and operate purpose-built garages with modern equipment and well trained staff. Yet, so much of the show is carried by builders who don't own and operate garages, but that spend weekends tinkering in their garages testing the patience of spouses and children. On this note, walking around the cars and displays, it becomes obvious that the art of customization is a multi-generational, "thing." 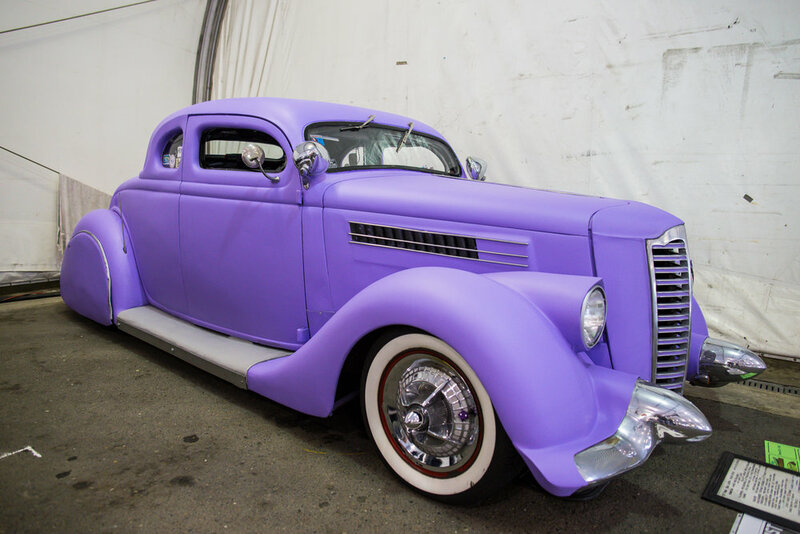 Unlike what we see in vintage racing, the passion to customize "classic" vehicles is alive and well in a younger crowd (40 is the new 20...HA!). 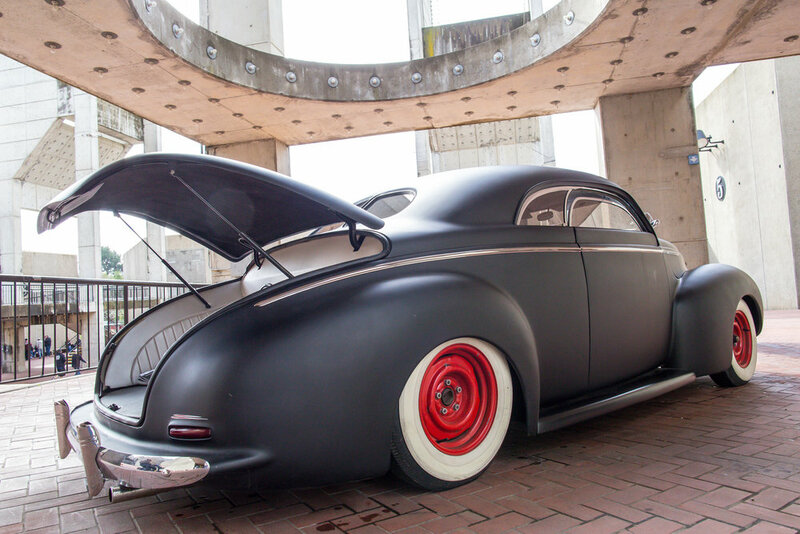 As we lose the legends of customization every year (builders as "classic" as the cars they build), we see a growing number of customizers in their 30s and 40s who have decided to keep the art of their fathers and grandfathers alive. 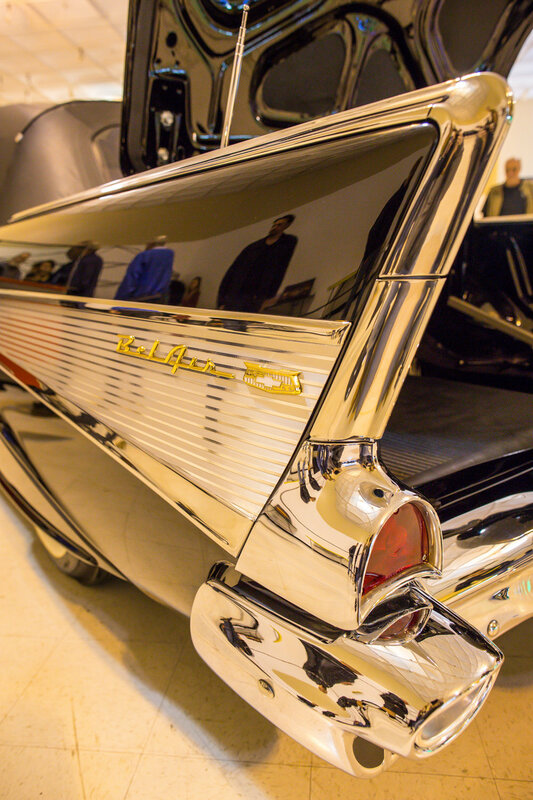 They add unique elements of style and technology to car customization that their forebears should be proud of. The use of technology, composites and modern fabrication techniques are helping the students of the masters leave their own mark on the art. Lucky for us, we love them all. We love the trailer queens and the cruisers. We love the rusty ones that look neglected, but in reality reflect countless hundreds or thousands of hours of fabrication and feature custom details too numerous to count (Dolly Parton has it right, it takes a lot of money to look that cheap!). 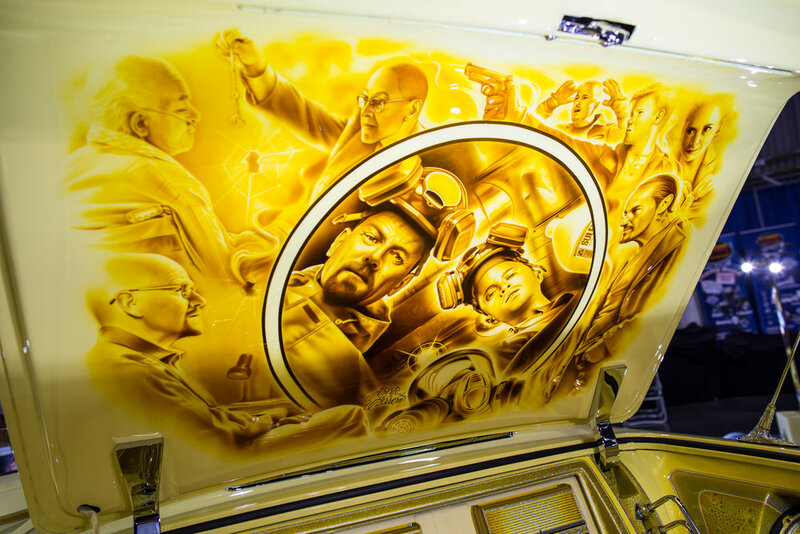 We love the low riders and the themed cars and even the ones that make no sense (but someone put their heart it, so who the hell cares?). We love the obligatory 50's music and the thousand times we overheard the phrase, "I used to have one just like that." 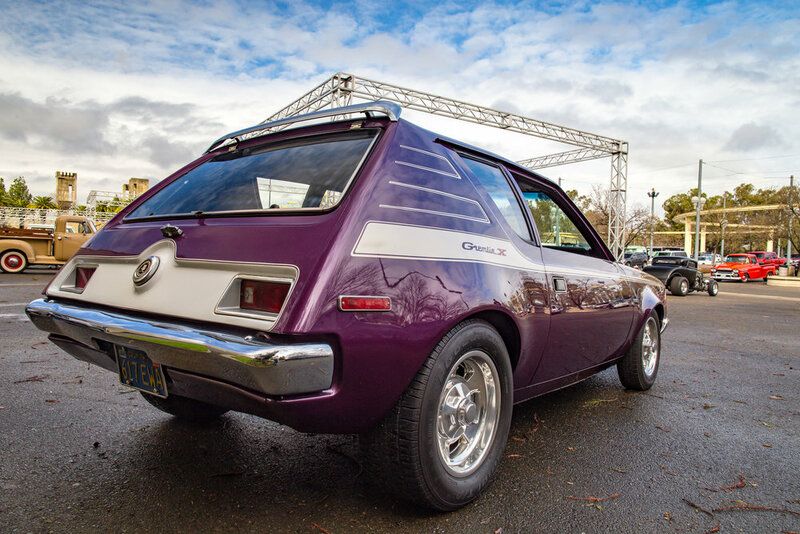 The O'Reilly Auto Parts Sacramento Autorama is a testament of the past, present and future. 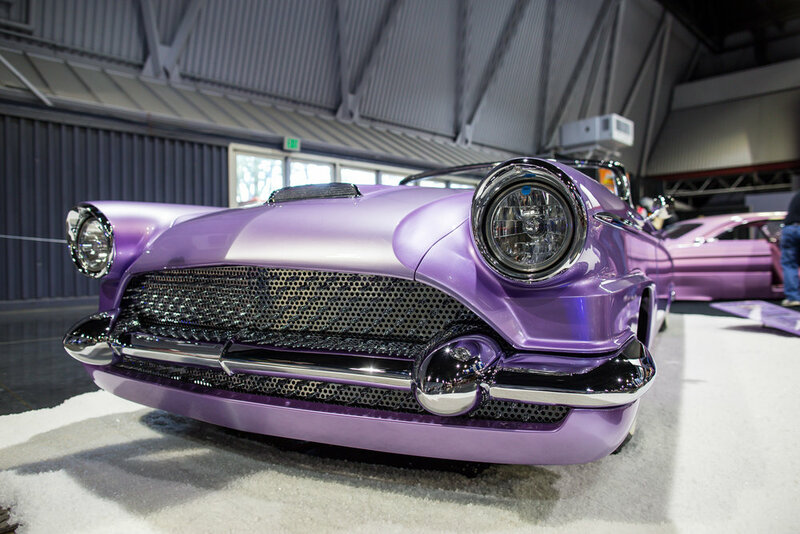 It's a one stop shop of everything that is relevant in the custom car scene. In case you missed this years event, the gallery below will help you see what you missed.